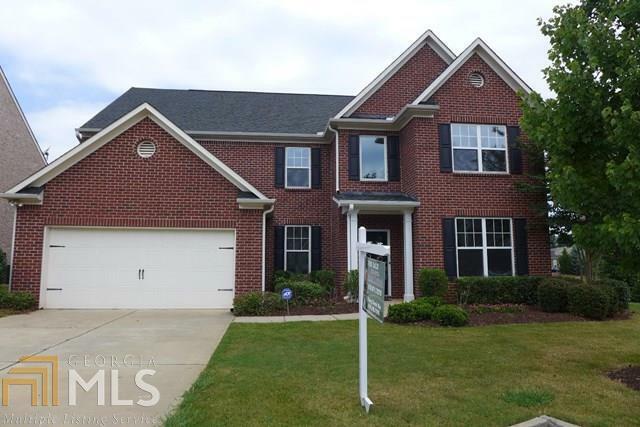 EXCELLENT SCHOOLS, CLOSE AND QUICK ACCESS TO I-85 7 MAJOR RD'S.3 SIDE BRICK HOME AT GATED COMMUNITY. MAIN LEVEL W GLEAMING HARDWOOD FLOORS,EXCEPT GUEST BEDROOM, GRANITE LARE ISLAND KITCHEN, WALK IN PANTRY, 2 STORY FAMILY ROOM W/ WALL OF WINDOWS OVERLOOK SERENE REAR YARD. MASTER SUITE W/ DOUBLE TRY CEILING, HIS AND HER VANITIES*IRON BALUSTERS, OPEN LANDING AREAS, LARGE HALL BATH W/ SEPARATE PRIVE DOOR TO WET ROOM. Directions: I-85, Exit Duluth Hwy To West, Community Gate Is On Right.